The first violin part for Strauss' Ein Heldenleben, Op. 40 has been edited by Joseph Silverstein, Principal Guest Conductor of Seattle's Northwest Chamber Orchestra and former concertmaster & assistant conductor of the Boston Symphony. Silverstein's bowings, fingerings and other editorial markings have been added throughout the score. 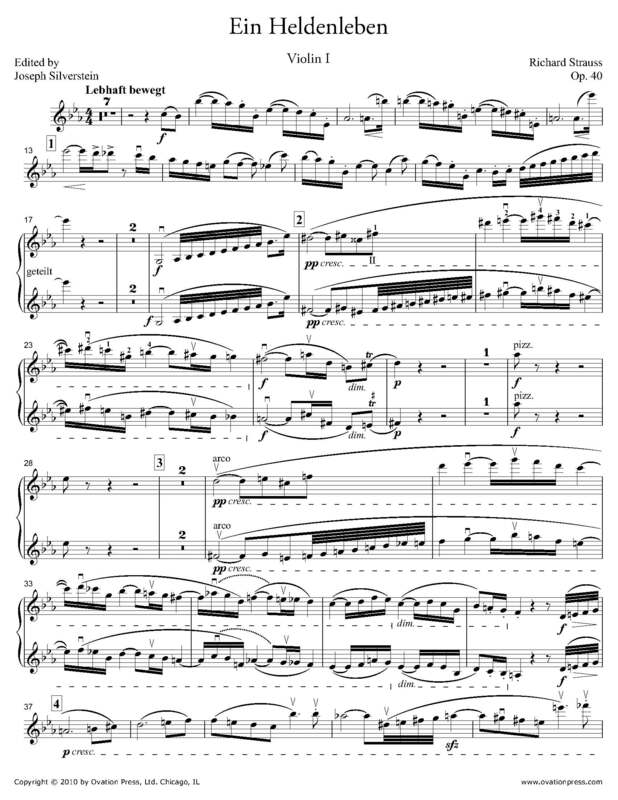 Download and print the score today to gain access to expertly edited Strauss Ein Heldenleben violin fingerings and bowings from Joseph Silverstein! Please note: Bowings have been marked throughout with fingerings for select passages. This score is only available for purchase by customers located in the USA and Canada.